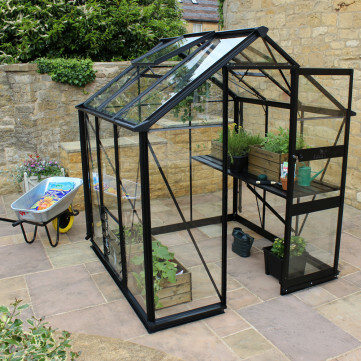 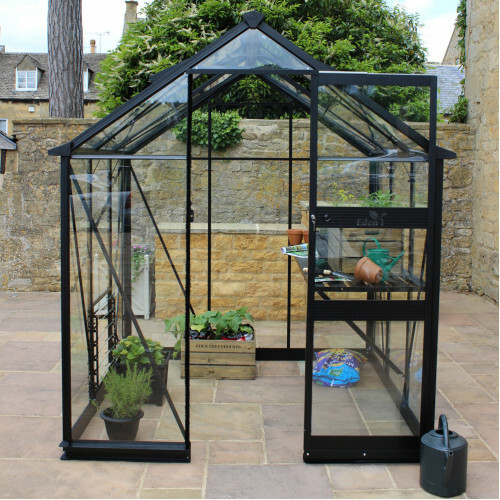 The Eden Greenhouses Burford 68 greenhouse is available in plain silver framework or in a green or black powdercoated finish, which is baked on. 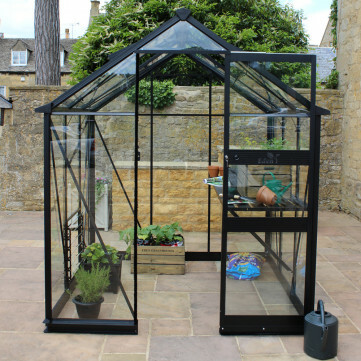 Using Eden's new 'Zero Threshold' door system, there is absolutely no bar across the entrance at floor level. 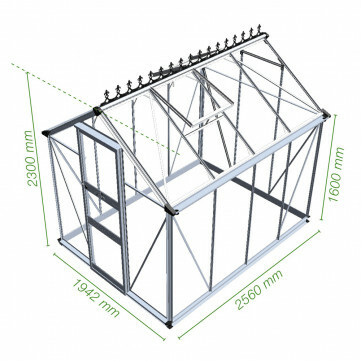 The Burford 68 needs to be installed on a hard surface, ie concrete or slabs.